There is LOTS of controversy surrounding phonics instruction these days. Whole language, spelling lists, direct phonics instruction…They are all good teaching strategies in my opinion and each has their place in the classroom. At my school, we’ve made the switch from a traditional spelling routine (spelling lists, memorization of words, test on Friday) to a more “real-world” approach to phonics -if you will. There are no spelling lists for students to study, only phonics patterns. Students are tested on their ability to read and write the target phonics pattern every 2-3 weeks. One of my favorite activities is “Showdown”. It is a modified version of a Kagan Structure for those of you who are familiar with those structures. 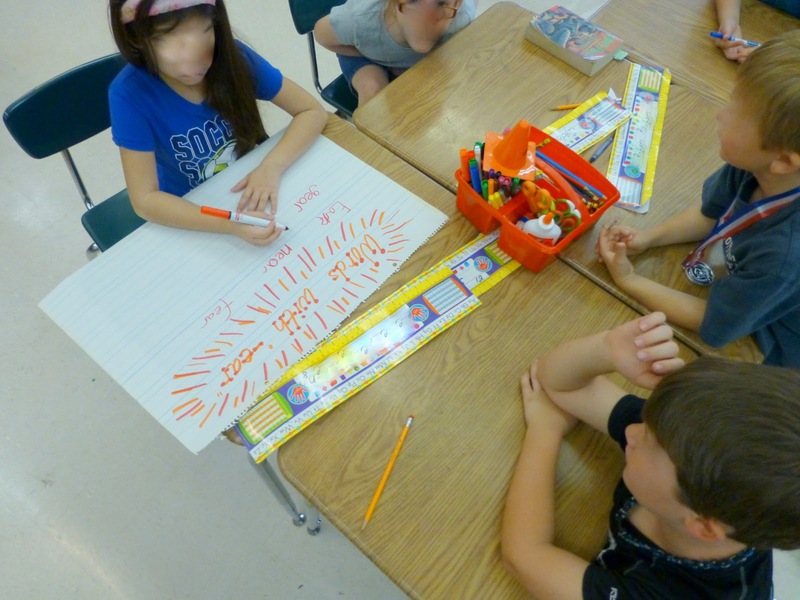 Students use white boards to write a word based off of the phonics pattern we are working on that week. When I say the magic word, “SHOWDOWN!”, students raise their boards up for me to see. I then choose one student to share with the class how they spelled the word, and I write it on the chalkboard. Students check their spelling of the word and rewrite it if it doesn’t match what I have on the chalkboard. Yes… the students are sitting on their desks! We go over safety expectations (bottoms on desk, feet on chairs) EVERY.SINGLE.TIME. I use this in place of a traditional “pretest”. I can quickly see who understands the phonics pattern and who still needs to work on it. I usually do this exercise at the beginning of the week to help guide my student placement for small group instruction. Another way we work on phonics patterns is by creating Phonics Exemplar Posters. Each table gets a poster with a specific phonics sound. The table works together to write words that follow the phonics pattern. Every student gets a chance to write a word. I give each table about 3 minutes to write as many exemplary words for their poster, then they pass the poster to the next table. 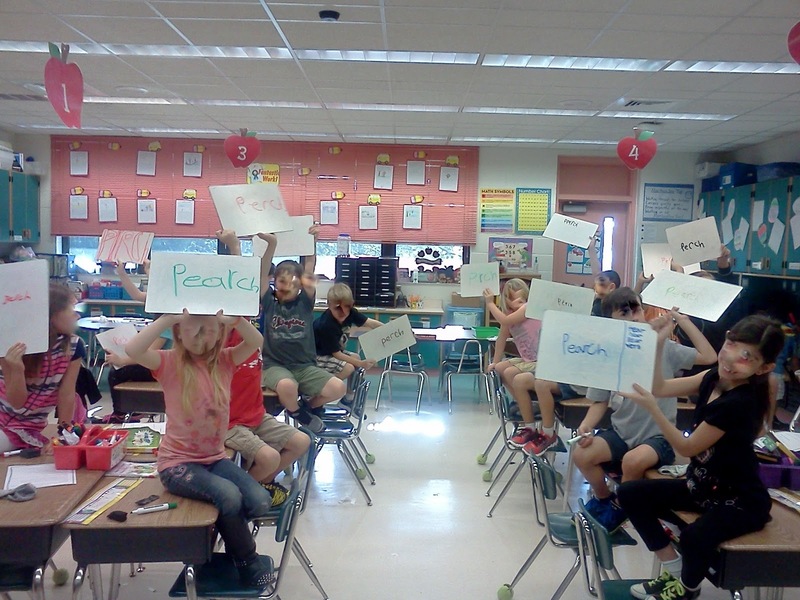 Usually the next day, we review the posters as a class and vote on which words belong on the poster and which do not. Students use these posters throughout the week as references for their writings. We also work on phonics through our reading. The students LOVE being word detectives while they read! 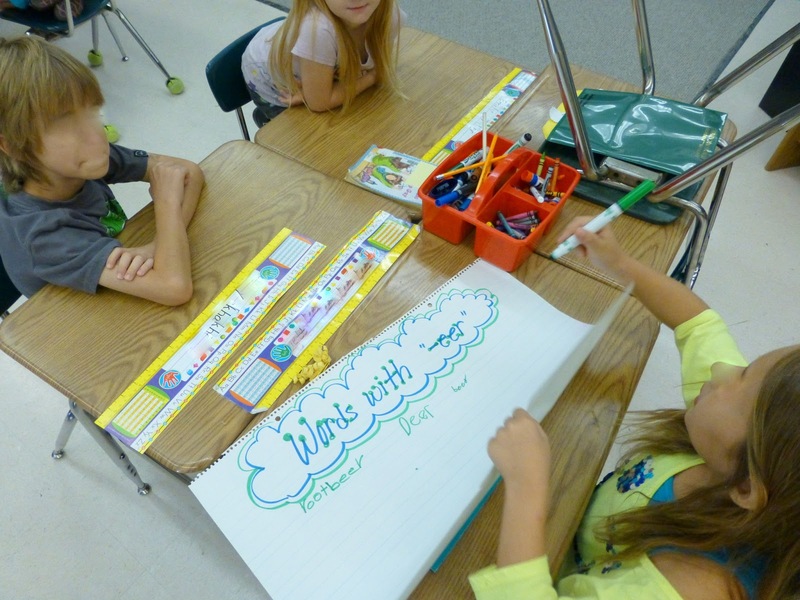 They write the words they find, then choose 3 to use in a sentence. 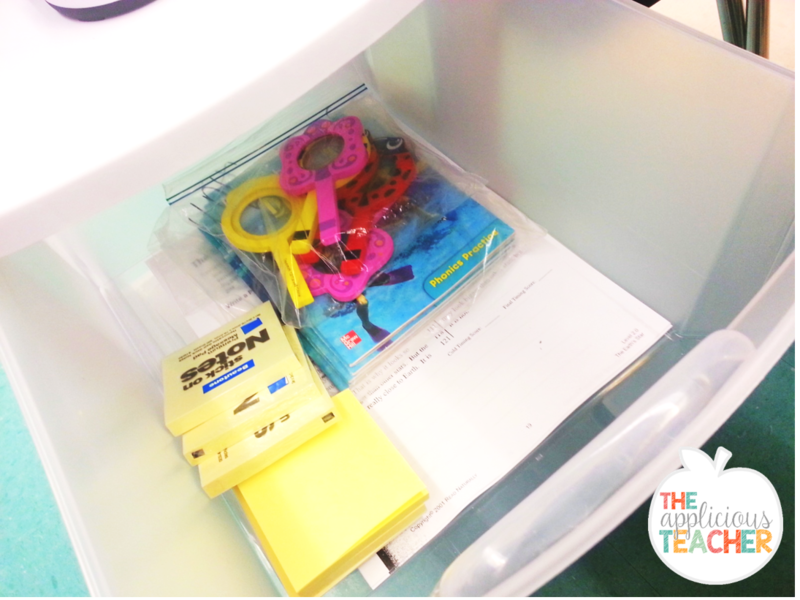 I like to use this activity at a center with “primed” books. 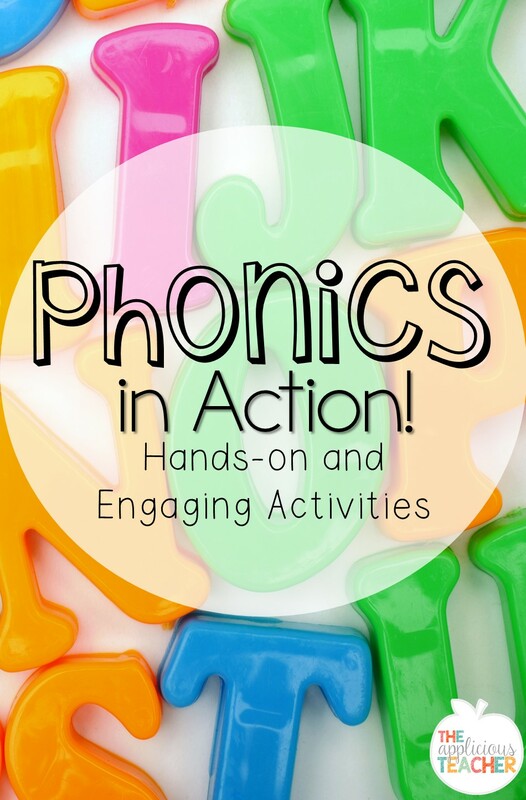 Looking for a way to bring phonics practice to your homework routine or center time? Check out these Phonic Menus! 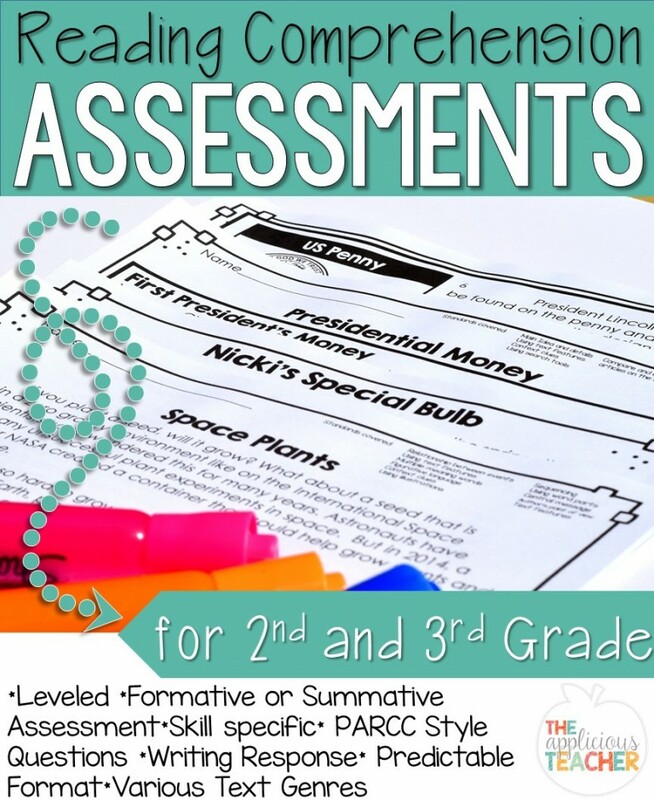 These easy to print and go menus include games, writing, and so much more! I’ve even used them a few times during my “work on writing” centers! So those are just a *few* ways we practice phonics in our room. 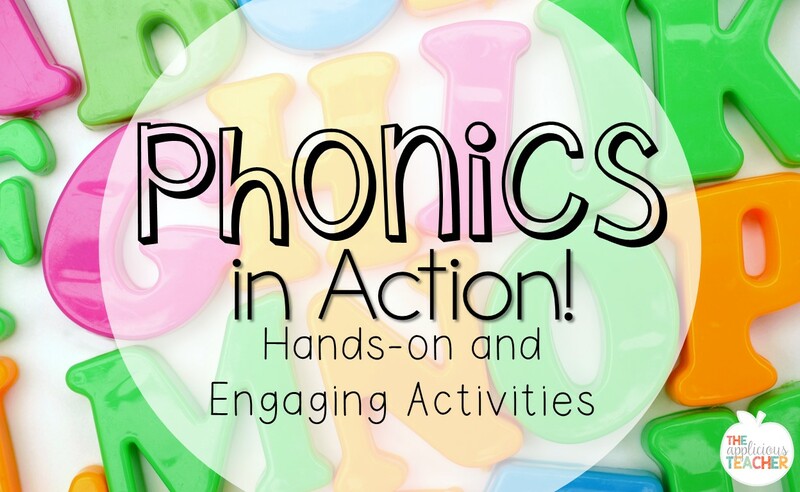 I would love to hear how you teach phonics in your classroom (if at all!) Leave me a comment and share how you teach spelling! We are strongly discouraged from doing a traditional spelling approach (teach 5-10 new words a week, do lessons on those words and then test them). Instead, we are encouraged to teach spelling patterns and strategies embedded into our whole group or small group lessons and on an as needed basis. I do use a phonics type booklet every day just for bellwork while the kids are coming into class. We do it as a time filler sometimes as well when he have 5 minutes to kill. Sounds like our phonics/spelling routine! Glad to see we are not alone! 🙂 Interesting that you have a phonics booklet. Is that something your district provides? Or you've created? I love this. I have struggled with spelling this year. In my pod all the teachers use the same list and I do not like that. I have so many students at different levels that it is unfair for them. I will definitely be using your ideas or similar ones this next year. Thank you for sharing. I am your newest follower. By the way, do you test? Or do you mainly observe their abilities through your different structured activities? I would love to know more.